I feel very privileged and proud to have been elected as Alliance Party's new Chair at our AGM in Newtownards yesterday at a time when the Alliance Party is showing real leadership in building a new Northern Ireland for everyone. As a result of recent events and actions Northern Ireland has been forced to choose between politics of hope, reconciliation and sharing over separation, intransigence and indecisiveness. The Alliance Party is determined to continue providing positive leadership to build a Shared Future and take the difficult decisions to build an open, welcoming and inclusive shared society. Issues considered difficult cannot be deferred indefinitely. The politics of dither, delay, indecision and division are damaging public confidence in democracy evidenced by reducing voter turnout. 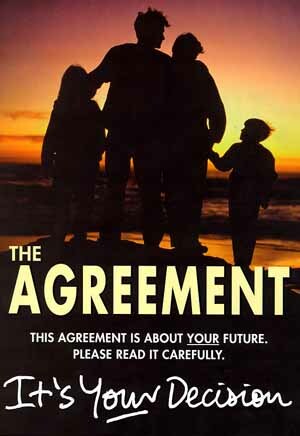 The new beginning promised within the Good Friday Agreement remains necessary today as it was on Good Friday in 1998 and must be realised to meet the hopes and desires expressed by the overwhelming majority of people who voted in favour of the Agreement fifteen years ago choosing Yes over No. As someone born after the establishment of the Alliance Party, I am younger than Alliance but remember the background against which the party was founded. Whilst levels of violence have thankfully reduced battle for peace, reconciliation and resolution of the difficult issues which have divided our society for decades remains. I look forward to playing my role over the forthcoming year as Party Chair to ensure Alliance continues to lead this battle for everyone.